I like coffee and red wine, so let’s suffice it to say Crest White Strips and I have been friends for years. They worked great for me – I have pretty straight teeth, though, and that’s apparently who they work best for (they don’t apply as evenly when teeth aren’t completely even across). Oh, grrrrrreat. Now I get to drop hundreds/thousands with a dentist every time I need to whiten instead of the $40 White Strips in my PJs. That’s what I thought until I read the Cincy Chic story we just published about Maui Whitening. They claimed to get the professional whitening results without the dentist price tag. Ok, sold. I’ll try it. So, I did and the results are in… I lovvvvvved it! I will say, it is more of a time commitment than the White Strips. You’re sitting in a dentist-esque chair for up to 90 minutes, depending on how much whitening you need and you have a special light shining on your teeth that you need protective eyewear for (so you can’t even be checking your phone to pass the time). But you wouldn’t be able to do that at the dentist either. So, this is a GREAT option if you don’t want to pay the big pricetag at the dentist, and the White Strips don’t work for you! 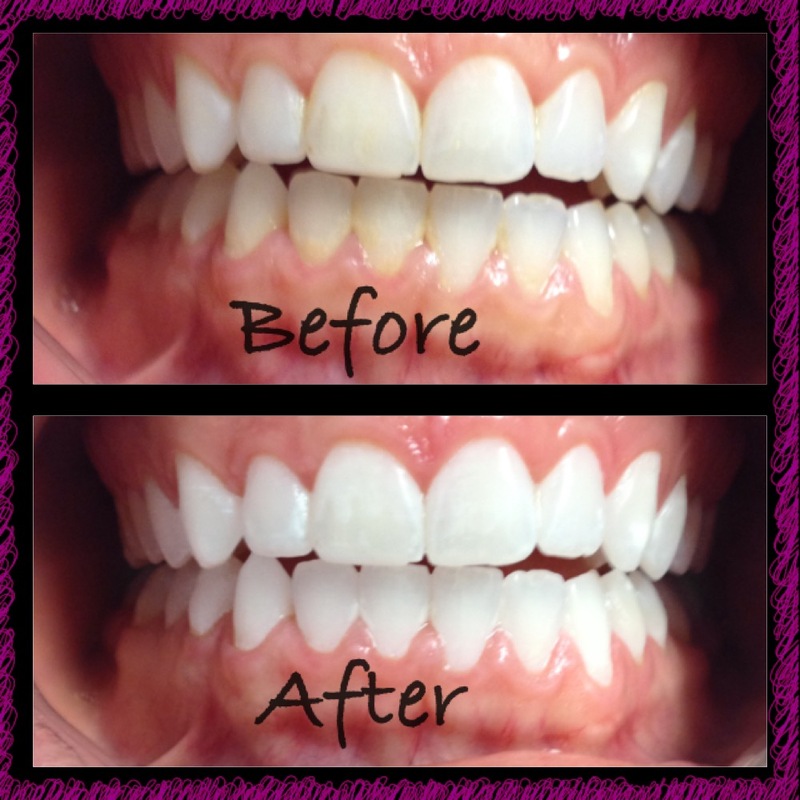 Samantha the owner did my whitening (before and afters below!) and she did a great job! She really knows her stuff! To learn more about them, call 513-847-6008, visit www.mauiwhitening.com, like them on Facebook or follow on Twitter. I met Cheri Misleh a couple month ago at a get-together at Krombholz Jewelers and she told me about this amazing fundraiser she’s working on to raise awareness and funds for Autism. Bites and Bids: A Benefit for Autism will be held Sunday, June 8, at 5:30 p.m. at Jag’s Steak and Seafood in West Chester with a special VIP reception at 4:30 p.m. Guests will get to experience dinner by the “bite” that will be prepared by Executive Chef and one of the top chefs in America, Michelle Brown. Fine wines and craft beers will also be served. Bids will include several one-of-a-kind items and the atmosphere will be complemented with jazz entertainment. Tickets are $75 per person. A table for 8 guests is $1,000 and includes reserved priority seating and 8 VIP tickets. VIP tickets are $100 per person. Bites will be offered exclusively to VIP attendees. 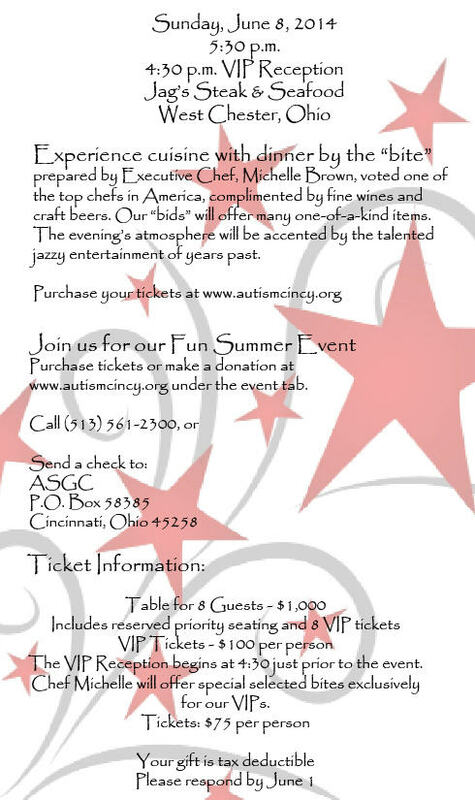 To purchase tickets or make a donation, click here <http://www.autismcincy.org/events/bites-and-bids-a-benefit-for-autism/>. You can also call 513-561-2300 or send a check to ASGC P.O. Box 58385 Cincinnati, Ohio, 45258. CET Designer Eyewear Trunk Show March 10! Seriously though, what better way to welcome in the new weather with some chic new sunglasses? My gals at Cincy Chic are partnering up with the nice folks on the Cincinnati EyeCare Team to host a Designer Eyewear Trunk Show on March 10 to do just that! There, you’ll be able to browse more than 500 of the newest frames, and get designer brand eyewear at a fraction of the cost (print out the invite below and bring it to the event for 25% off!). But it’s for one day only! Click here to get all the details about the event! Girls Night Out Tonight, Win $500 Shopping Spree! Gather your girlfriends for Girls Night Out at the Streets of West Chester tonight from 5:30-8:00 pm! There will be $800 in giveaways, including a $500 shopping spree, with drawings every 20 minutes. Special discounts will also be offered at stores. Light refreshments will be on hand and Trinity will provide live entertainment. 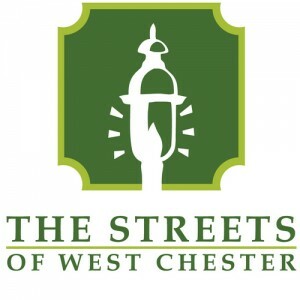 To learn more about the stores and restaurants at the Streets of West Chester, visit www.streetsofwestchester.com. UC DAAP Students Find Inspiration at IKEA! 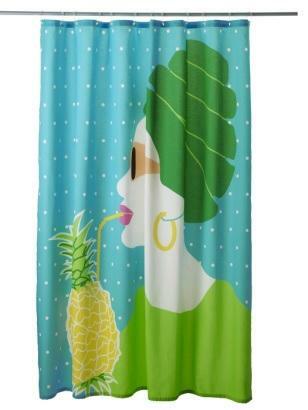 Did you ever look at your shower curtain or linen sheets and imagine a beautiful evening gown or a printed summer dress? Well, that’s just a day in the life of sophomore students at University of Cincinnati’s College of Design, Architecture, Art and Planning (DAAP). That’s why IKEA recently supported a project that encouraged aspiring designers of the UC DAAP program. Their task: to create fashionable pieces inspired by elements within the store. Students found the home textile department to be truly inspirational, as they adventured through hundreds of fun, bold, eccentric fabrics to be the muse of their designs. UC staff and IKEA co-workers agreed when presented the final looks, that these young designers created truly one-of-a-kind pieces. “We hope this project will open many more opportunities to showcase IKEA’s iconic looks designed by talented DAAP students,” says IKEA store manager Heather Spatz in a recent press release. This was an amazing opportunity for both IKEA and the DAAP students to design and showcase such great prints from your every day home items! If you are looking for some inspiration of your own, check out the pictures below of some of their creative designs! Sips & Shops Sneak Peek, Free Ticket Code! This Thursday we have an exciting event in West Chester where we’re featuring the best boutiques from the Heart of Centerville! 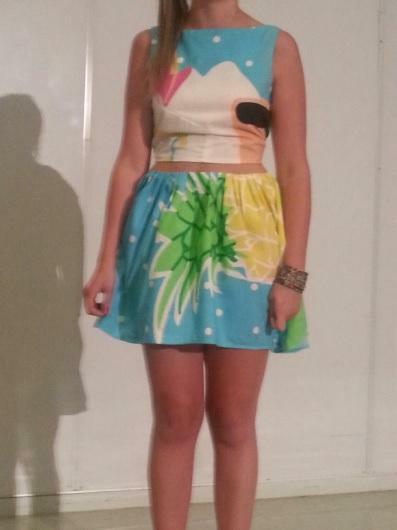 We went on Fox19 this morning to do a sneak peek of the fashion show (check it out below! ), and if you put in the code WIN you can get FREE tickets in! 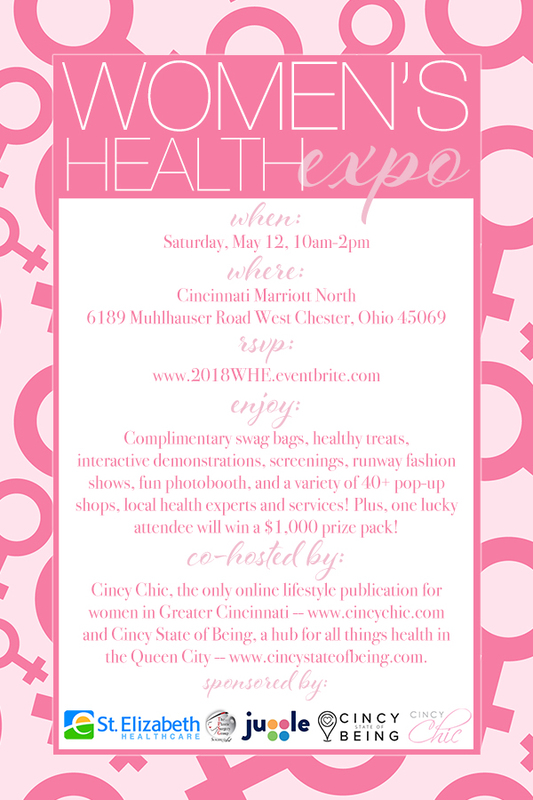 Tickets include a swag bag, drink ticket and a fabulous shopping experience! Hope to see you there! I’ll be the emcee, so stop by and say hi!! Click here to RSVP!